This was originally posted in MediaPost. Limited by the indefinite and imprecise results of traditional marketing, CMOs of the past could not realize meaningful metrics to measure success. But today’s technology has ripened, enabling sophisticated and precise decision-making. CMOs have adapted and thrived accordingly, so much so that they will soon lead not just marketing, but companies in their entirety. Michael Lewis’ Moneyball chronicles how baseball teams evolved to embrace new and more sophisticated metrics to achieve success. Traditionally, teams looked to antiquated statistics (e.g., batting average, stolen bases) to determine a player’s worth. Around the year 2000, the Oakland A’s realized that advanced stats like slugging and on-base percentages were far better indicators of value. Building a roster with these new metrics, the A’s became one of the best teams in baseball despite one of the smallest payrolls in the sport. Marketing is experiencing a similar revolution now. In the past, no substantial feedback loop existed to tie customer choices to marketing activity. Marketers had to do things by touch and feel, often betting their careers on the black-boxed “genius” of creative agencies or the fuzzy results of focus groups. Ultimately, CMOs simply had to hope that correlation was causation; that an uptick in sales was actually attributable to them and not some confounding factor. That’s all changed. With the plethora of analytics tools, big data platforms, and precise tracking methods available today, marketers can see inside the black box. Like in baseball, sophisticated metrics have emerged to enable better decision-making. 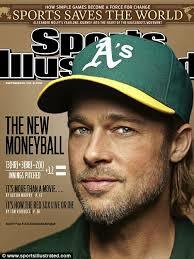 Today’s Moneyballer CMO plans her marketing initiatives the way Billy Beane built the Oakland A’s. She uses streams of analytical data and relies less on subjective focus groups or simplistic measures. 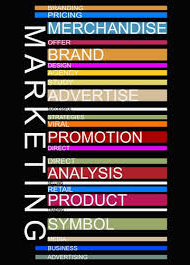 Her analytics are acute and precise; the impact of every marketing and branding initiative is quantified. She leverages granular data on customer actions to expand beyond the traditional CMO role, influencing product strategy, customer service, and optimized sales pitches. The Moneyballer CMO still uses smart agencies and consultants, but insources the core marketing strategy using the increased visibility her technology allows. She also insources her company’s data, employing it across multiple platforms and applications. Silos are the enemy of the Moneyballer CMO, because connected data means more holistic and measurable results. The rise of the Moneyballer CMO is both a symptom and a cause of marketing technology growth. As data becomes more integrated and accessible, smart marketers demand better analytics, so companies respond by spawning countless marketing applications. Analogous to Moore’s law, the number of marketing applications doubles every two years. Just think of all the platforms that have emerged in the past 12 years: search marketing, social media, cloud applications, site analytics, mobile devices. With so many new technologies to manage, CMOs have had to become smarter, shrewder, and data savvy to stay competitive. It’s little wonder that they have become some of the smartest people in the room. Residing on the cutting edge of technology, the Moneyballer CMO is often the most forward-looking executive at an organization. She’s always scanning the horizon for the next platform that will complement her technology stack, improve leads, or lift conversions up another fraction of a percent. That foresight is key to keeping an organization modern and relevant across all departments. Business is just starting to experience the positive influence of the Moneyballer CMO. Marketing technology companies are in their infancy and we should anticipate an explosion of new tools that will yield massive returns for marketers and customers alike. The CMO is moneyballing everything that touches the end customer. That’s why the CEOs of the future are the CMOs of today. This entry was posted in Uncategorized on January 13, 2014 by auren. The blog post is dead on. The complexity and number of systems that a B2B CMO has to master is big. Earlier in my career, I was a submarine officer. All officers on a boat knew all the systems in detail down to the last pump, valve and switch. It was required both from a safety standpoint, but also an operational standpoint. Even the Captain knew the ships operations in great detail. Running a high velocity marketing group like the one described above, I found myself falling back less and less on marketing knowledge learned through the years, and more and more on the operational and measurement knowledge learned 20 years on a boat. CMOs that don’t get down to this level of systems detail and knowledge risk being blind sided by operational issues and will also miss valuable insight that only comes with piecing together the data that these systems provide. This is the best post I’ve read…in the last year. It’s 100% spot on. Quantifiable (and more importantly, quant-DRIVEN) marketing is the future. C-Suite and below need to start getting the infrastructure in place now to make this happen. Auren, a truly excellent post that foresees the future of what CMO’s should be doing. Given that new technology allows analytics to provide a means to target specific individuals, CMOs need to start to look at strategies that allow for ROI based off of the individual and not just the group. While I hope to see this change soon, CMOs are still afraid to embrace this tactic. Partially because with today’s economy there are less jobs and the longevity of a CMO has dwindled considerably over the years, another reason is simply that they are about half a generation behind. But should they finally take the step, it does open up a whole new avenue of solution commerce that can benefit the start-up industry, increase in consumer engagement, and, of course, increase revenue for the brand itself. Very True. The Holistic data also allows to create a unified behavioral profile of a customer, which is insightful for planning result oriented conversion campaigns. And, we at Plumb5, have done just that. 2. Many organizations have tons of data and few ways to use it well. (This will also change.) I joined Pivotstream (http://www.pivotstream.com) a few months ago, where I’m actively working on ways to help companies make their data accessible internally and with partners, customers, vendors, and more. This is a huge limitation for most traditional companies. Not sure If I’ve talked to you about the concept of “dual channel” marketing? The concept stems from the reality that in today’s highly politicized world, a firm faces two distinct profit challenges: how well it does in the private world (the traditional marketing challenge that your article addresses) and the degree to which the firm experiences costly political predation. 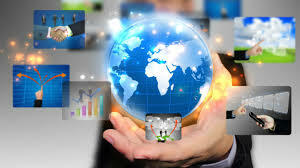 That is, the firm operates in two worlds: the private world of consumer choice and the political world of public opinion. Is it possible that marketing strategies might be tweaked to both enhance the product’s reputation in the private world and the product’s legitimacy in the political world. Firms can have great reputation but their products can be viewed as pariahs – and, thus, be vulnerable to political predation. One can love one’s car and, yet, view the automobile as a technology requiring greater government regulatory controls. I refer to this concept as “Value Based Communication/Marketing” and it is a topic being worked on aggressively at the Yale Law School Project on Cultural Cognition (from a policy rather than product perspective). I agree that this is a future, but today I still see too often people arguing more about how to collect and measure data points than how to connect them into a path to understanding customers. Thanks for sharing this article– it is ironic that marketers are now rallying around metrics and accountability for budget expenditures, something that some have been doing as a matter of course for so many years. I have always found it curious that more direct marketers did not rise to the forefront of digital marketing since the fundamentals of their work were so rooted in this kind of rigorous discipline. I think that the best marketers are the ones who are able to start with the foundation of analytics and combine and guide that with a real understanding of consumer behavior. Data is just a bunch of numbers and often meaningless if it is not guided by an understanding of consumers and WHY they are doing what they do, not just that they are doing something. That’s the underbelly that allows you to understand trends and anticipate future directions. Clarabridge puts the power in the hands of these leaders. We like to say we take Big data and turn it to intelligent customer experience management. Listen to everything – analyze it intelligently – close the loop and engage confidently and come hear our customers tell you themselves , their success: #C3! Talent Plus has it’s headquarters here in Lincoln, Nebraska and does use numbers. The interview process is actually compiled with numbers from the data collected. The idea is finding the right fit. Working with intelligent people does make you smarter and the same is true with sports and training as we have done that with our children. Great article!